Dr. Louis Chaboudy & James Secrest Celebrate Portsmouth Spartans History (15 June 1970). In the summer of 1970, the Detroit Lions commemorated the surviving members of their 1935 NFL Championship team. Among them were a handful of former Portsmouth Spartans, as the Lions franchise had originated in Portsmouth. 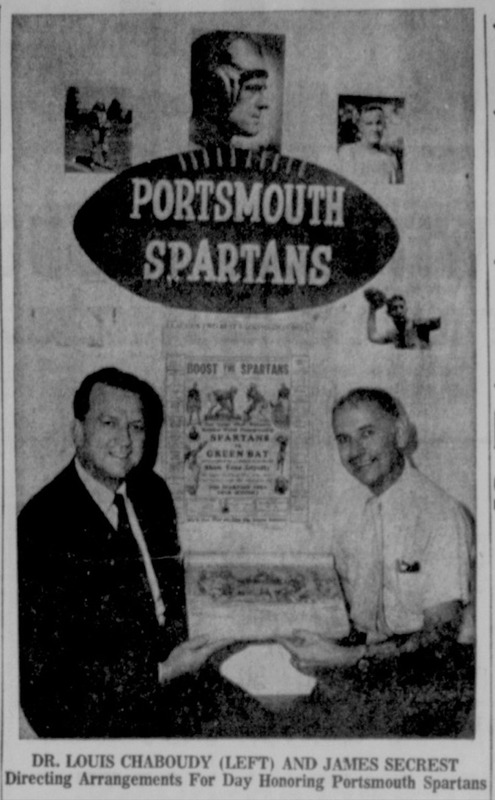 Dr. Louis Chaboudy and James Secrest of the Portsmouth Chamber of Commerce hosted a local celebration, which exhibited Spartan memorabilia and hosted some of the original players who once called Portsmouth's Municipal Stadium home. "The pride of area football fans in the early ‘30s, the ‘Men of Purple,’ led by Coach George (Potsy) Clark and Pro Football Hall of Fame member Earl (Dutch) Clark, was considered by many of the nation’s sportswriters as one of the finest professional teams in the nation. "The Spartans compiled an 11-3 won-loss record in 1931; 6-1-4 in 1932, and 6-5 in 1933 before the local franchise was sold to a group of Detroit businessmen for $10,000 in April 1934. "Several of the former Spartans were regulars with the Detroit Lions when the Motor City team won the 1935 World’s Championship by defeating the New York Giants, 26-7. The ’35 Lions included former Spartans Ernie Caddel, Harry Ebding, ‘Ox’ Emerson, Ace Gutowsky, Bill McKalip, Clare Randolph, John Schneller, the late George Christensen and the Clarks." 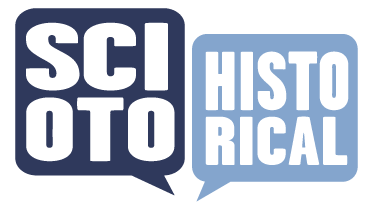 This work is licensed by Andrew Feight, Ph.D. under a Creative Commons Attribution-NonCommercial 4.0 International License.